custom — Nelson Knife Co.
From personalizing with a custom etch to picking hand materials, a custom knife order means you get to choose. NKCO custom knives make a great gift for yourself, your spouse, employees, anniversary or birthday gifts. From a set of kitchen knives to a single paring, no custom order is too small. 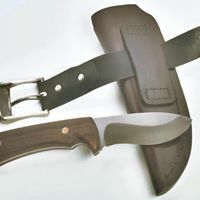 Get yours started today - email us at brandon@nelsonknifeco.com or fill out the contact form below.